Meet the tech-savvy entrepreneur who is bringing the gospel to a new generation of Christians. One of the first post-Jesus earthquakes to rock the Christian world came in the mid-15th century, when Johannes Gutenberg, a German goldsmith, former soldier, and serial entrepreneur, used a novel invention—wooden letters that could be inked, replaced, and moved—to print a moveable type book. At 42 lines per page, and 180 copies in the first run, the Gutenberg Bible didn’t exactly seem like an instrument of spiritual revolution at first. But if you interrupted Martin Luther as he was nailing his 95 Theses to the door and asked him where he got the pages from; or inquired with one of the millions of newly literate commoners about how they learned to read; or checked in with the ladies and gentlemen who launched the Renaissance, the Enlightenment, and the mass media, these folks would scratch their heads a bit and point back to Gutenberg. Not bad for a guy who lost his shorts to bankruptcy, and was once sued by a girlfriend for calling off his engagement. The second Biblical revolution is—believe it or not—headquartered in Edmond, Oklahoma (pop. 83,000). That’s where a church called “LifeChurch.tv,” a young tech-savvy Christian by the name of Bobby Gruenewald, and his pastor, Craig Groeschel, are changing the way people read holy texts. It’s called YouVersion—“the Bible app”—and it’s coming soon to a smartphone near you. Overstatement perhaps? You be the judge. Since Gruenewald, LifeChurch’s “innovation lead,” devised the Bible app in an airport security line in 2006, officially launched it in 2008, and relaunched with their first national television commercial last week, it’s been downloaded by 83 million unique devices. Four million new users are installing the app each month. The Bible app is in 215 languages, 450 different versions, and collectively users spend more than 3 billion minutes reading scripture on the app monthly. Hear that, Gutenberg? So what does it do? Simple, really: the Bible app allows users—from curious readers to committed believers—to place the entire Bible on their tablets and smartphones, take notes, follow study plans, and hear it read aloud (Gruenewald likes to call this feature “the Bible reading to you.”) They’ve just launched a feature where Bible app aficionados can actually use the app to watch video clips from “The Bible Series” on the History Channel, from David slaying Goliath to Jesus on the cross. And the Bible app even appears to be creating new religious communities of sorts. Kacia Hosmer, Raechel Myers, and Jessi Connolly had never meet each other in real life, but started doing reading plans on the Bible app together. Now they’re leading a network of thousands of women reading scripture on the app: www.shereadstruth.com. Some key questions remain unanswered. Will other religious communities embrace widely used apps? (Torah and Quran apps exist, but with far fewer users.) Will people of faith, in a hyper-individualized world, retreat into their apps, instead of interacting with other believers and the world? So the Gutenberg revolution has come home to Oklahoma, with the potential to change the way we worship and interact on social networks, in life and online. Watch out Mark Zuckerberg—according to nearly 90 million believers, there’s a (Bible) app for that. 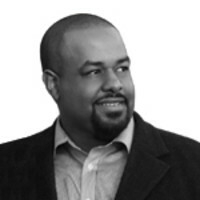 Joshua DuBois was President Obama’s first director of the White House faith-based initiative. He is now an author, teacher, and speaker, and CEO of Values Partnerships. Follow him on Twitter: @JoshuaDuBois.